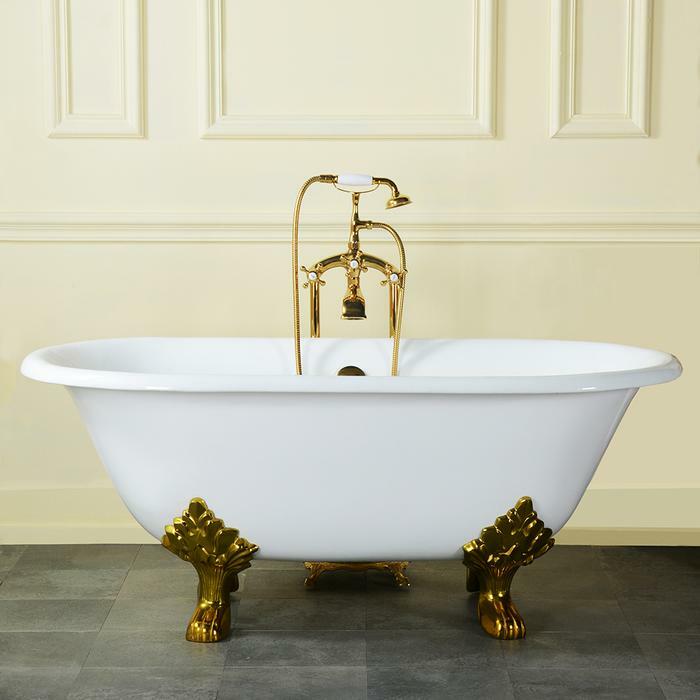 Elegant lion paw feet add grace to this small double roll top tub. The Dawson bathtub features a center drain and a traditional rolled rim. 60 3/4" x 30 3/8" x 23 7/8"